We have sent two sets of JS500 concrete mixer to South Asia successfully on August 20, 2016. 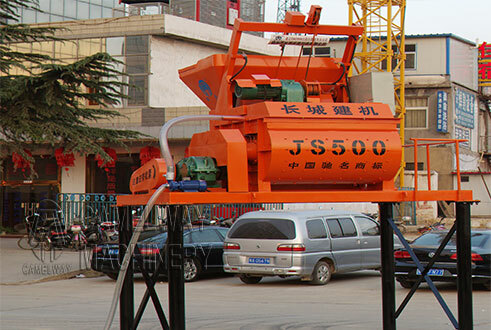 JS500 twin shaft cement mixer has characteristics of reasonable structure, good mixing quality, short mixing time, low energy consumption and little noise, etc. Twin shaft electric mixer for sale in the market is dual horizontal shaft electric cement mixer, which can work independently, also can be used in the concrete batching plant with PL1800 or other matched equipment. 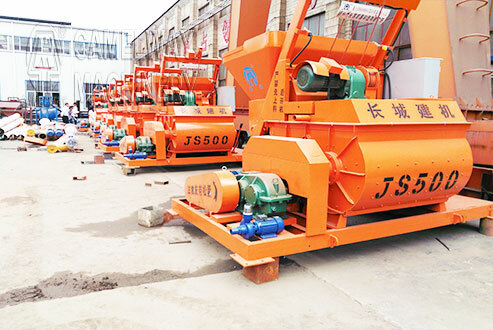 The twin shaft batch mixer can be applicable to large, medium and small precast concrete products factory and roads, railways, bridges, water conservancy, civil construction project. Zhengzhou CamelWay Machinery was found in 1983. In 2000, the company passed ISO9001 Quality System certification. The company with a total of 100 models divided into eight series, covering almost all types of construction machinery and equipment needed for building construction. The company has an extensive user base in the country, enjoying a high popularity. Some products are exported to Vietnam, Laos, Kazakhstan, Mongolia, Russia, Cuba, Brazil and other countries, being highly praised by foreign friends.If you want to know more information about the concrete mixing station construction equipment, please pay attention to our official website.